CAPE CANAVERAL, Fla. — NASA has selected four veteran astronauts to lead the way back into orbit from U.S. soil. On Thursday, NASA Administrator Charles Bolden named the four who will fly on capsules built by private companies — SpaceX and Boeing. 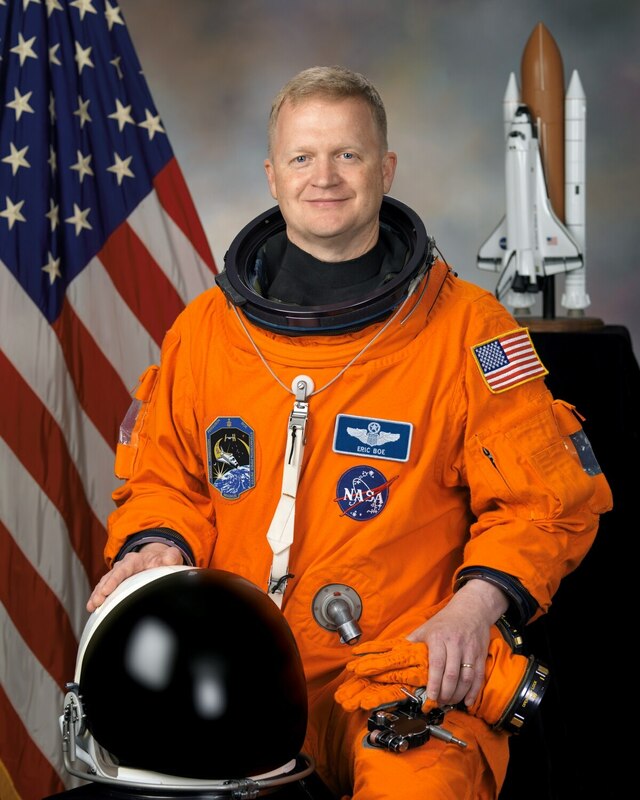 Each astronaut has test pilot experience and has flown twice in space. 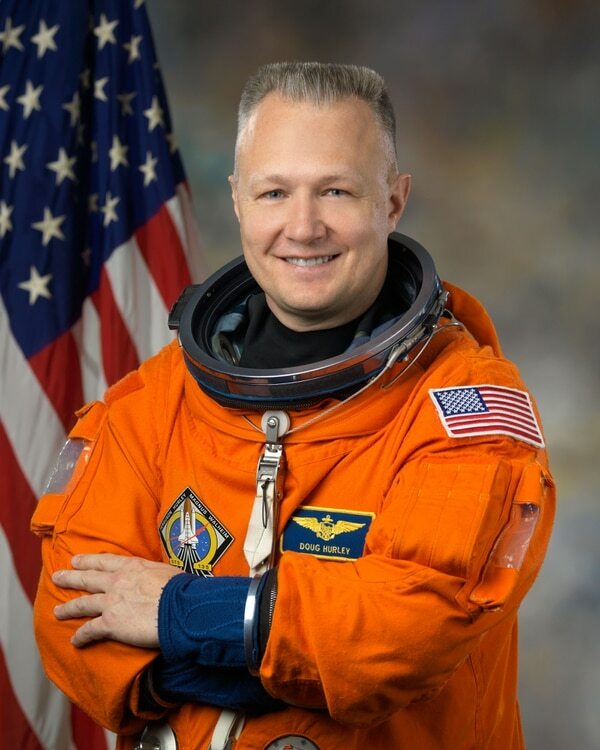 The commercial crew astronauts are: Air Force Col. Robert Behnken, until recently head of the astronaut office; Air Force Col. Eric Boe, part of shuttle Discovery's last crew; retired Marine Col. Douglas Hurley, pilot of the final shuttle crew; and Navy Capt. Sunita Williams, a two-time resident of the International Space Station. In this Sept. 22, 2004, photo provided by NASA, astronaut and Navy Capt. 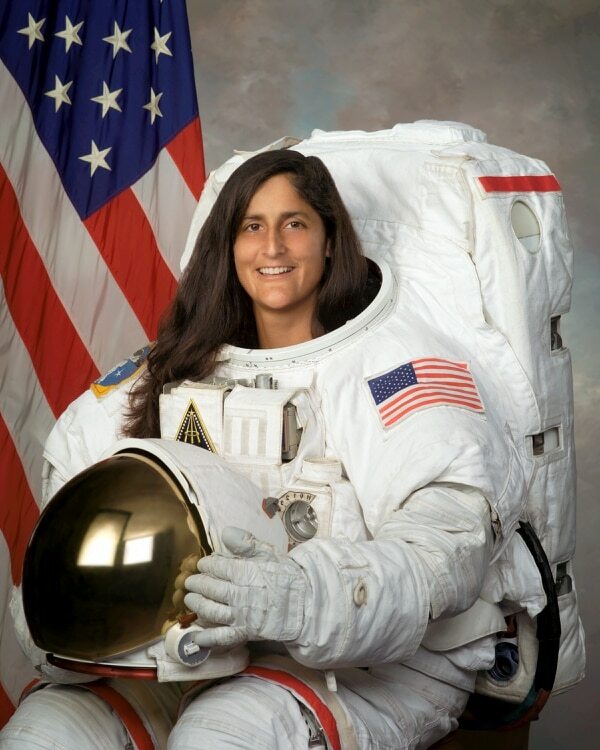 Sunita Williams poses for a photo. "These distinguished, veteran astronauts are blazing a new trail, a trail that will one day land them in the history books and Americans on the surface of Mars," Bolden said on his blog. SpaceX and Boeing are aiming for test flights to the space station by 2017. It will be the first launch of astronauts from Cape Canaveral, Florida, since the space shuttles retired in 2011. In the meantime, NASA has been paying Russia tens of millions of dollars per ride on Soyuz spacecraft to ferry astronauts; the latest tab is $76 million. Bolden noted that the average cost on an American-owned spacecraft will be $58 million per astronaut, and each mission will carry a crew of four versus three, in addition to science experiments. The four — who will work closely with the companies to develop their spacecraft — range in age from 44 to 50, and have been astronauts for at least 15 years. Each attended test pilot school; Williams specializes in helicopters. In this Oct. 22, 2007, photo provided by NASA, astronaut and Air Force Col. Robert Behnken poses for a photo. NASA said the four were chosen for their spaceflight experience. 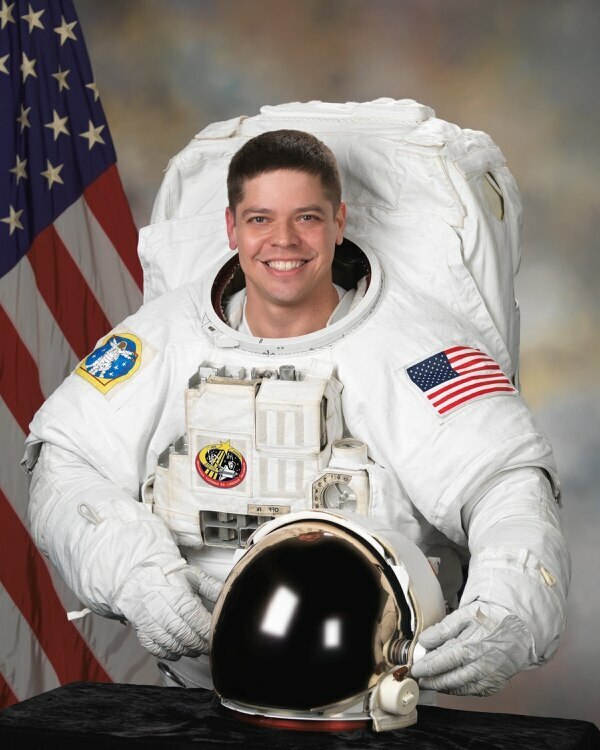 They have a combined total of more than 400 days in space, thanks largely to Williams' two station stints, and more than 85 hours of spacewalking time. Williams — the world record-holder for most spacewalking time by a woman — most recently lived on the orbiting lab in 2012. NASA's contracts with SpaceX and Boeing for crew capsules — totaling nearly $7 billion — require at least one test flight with at least one NASA astronaut on board. "There are lot more than just the four of us who will be responsible for the safety and the certification of the vehicle," Hurley said in a NASA interview posted online. A "huge team" will work to make the spacecraft as safe as possible, he noted. The announcement comes just 1½ weeks after SpaceX's failed launch to the space station with cargo. The Dragon capsule lost atop the Falcon 9 rocket that broke up shortly after liftoff on June 28 is a smaller, simpler version of what will be used to carry astronauts to the space station. NASA's other commercial shipper, Orbital Sciences Corp., also is grounded because of a failed launch dating back to last fall. In this Feb. 11, 2011, photo provided by NASA, astronaut and retired Marine Col. Douglas Hurley poses for a photo. Boeing's yet-to-fly craft is called the CST-100 for Crew Space Transportation and 100 kilometers, the threshold of space. A real name is forthcoming, according to Boeing officials. Bolden —himself a former space shuttle commander — noted that July has always been a big month for NASA. The first manned moon landing, by Apollo 11's Neil Armstrong and Buzz Aldrin, occurred on July 20, 1969. NASA got its first close-up pictures of Mars, thanks to Mariner 4, on July 14, 1965, and the robotic Pathfinder landed on Mars on July 4, 1997. And on Tuesday — the 50th anniversary of Mariner 4's flyby — the New Horizons spacecraft will sweep past Pluto on the first-ever close flyby of the dwarf planet. John Holdren, director of the White House office of science and technology policy, said Tuesday's commercial crew selection will move America closer to President Barack Obama's goal of sending astronauts to Mars in the 2030s. NASA has been hiring out supply runs to the space station for the past few years and wants to do the same with crew transport, so it can focus on getting astronauts out of low-Earth orbit and on to Mars and other destinations. NASA is developing its own new spacecraft, the Orion, for those longer journeys.